Our CEO, Dr. Mohit Aron’s experience as the lead developer on the Google File System, then as co-founder/CTO of Nutanix, led to him being dubbed the ‘father of hyperconvergence’. Cohesity represents his third generation of design, specifically aimed at solving one of the largest and most complex problems in IT: simplifying data infrastructure. Cohesity is committed to continuous innovation, consolidating and simplifying the management of data centers and clouds. That's how we are going to help change the world. 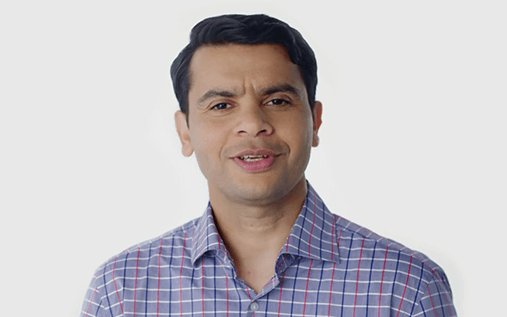 Former Nutanix co-founder/CTO & Google lead developer, Mohit Aron addresses new secondary data challenge. Early investors include Sequoia Capital, ACCEL Partners, and Google Ventures. First hyperconverged secondary data protection solution includes backup, distributed NFS, and analytics in one appliance. Site replication, integrated cloud services from Amazon, Google, and Microsoft, support for SMB, stronger security, and an enhanced UI added. Physical workloads, servers, and databases added with Pure Storage integration and Cohesity SnapTree™ Technology for speed and scalability. Cisco Investments and Hewlett Packard Enterprise (HPE) back groundbreaking, complementary Cohesity solution. S3-compatible object store, NAS data protection, role-based access, erasure coding, and more capabilities added. Cohesity named "2017 Cool Vendor" by Gartner and “Next Billion-Dollar Startup 2017" by Forbes. Hyper-V, AHV, and NAS protection introduced. Company opens second international office in Bangalore, India. Opening of second major U.S. office in Research Triangle, NC. SoftBank Vision Fund, Morgan Stanley, and other strategic investors back proven, complementary Cohesity technology. SaaS-based global management solution for all secondary data and applications. In addition to the more than 50 patents that Dr. Aron has been listed on, many more have emanated from his strong bench of engineering talent, recruited from leaders such as Google, Nutanix, VMware, and Cisco. In the last 4 years, Cohesity engineers have applied for or been granted more than 30 fundamental technology patents. Cohesity innovation has been recognized by industry analysts, media publications, business influencers, and partner organizations. In a few short years, Cohesity counts many Global 1000 companies and federal agencies among its customer base, including top telecommunications providers, aerospace firms, banks and executive departments of the US government. On average we have seen 40% net new customer growth quarter over quarter for the last year. 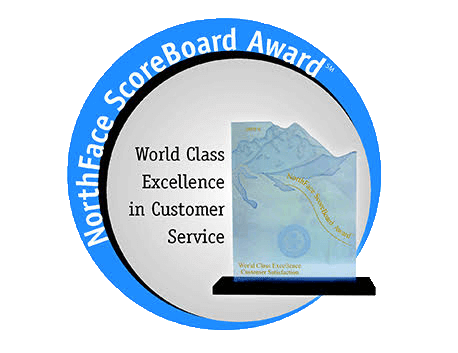 Cohesity offers award winning support, having won 2 years running the NorthFace Scoreboard award for excellence with an average score of 4.9 out of 5. 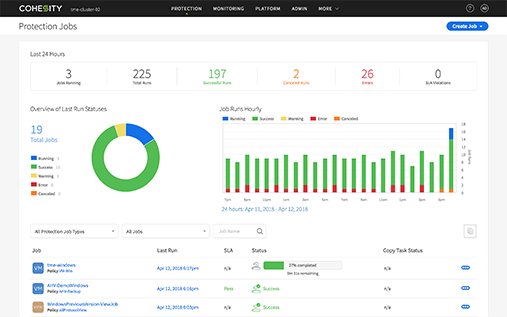 Cohesity has an NPS score of 93, and the solution itself features online serviceability. We enjoy strong partnerships with key data center players such as Cisco, HPE, Nutanix, Pure Storage, and VMware, as well as with the leading public cloud providers such as AWS, Microsoft, and Google. Cohesity's experienced and talented team has roots in leading technology companies such as Google, Nutanix, VMware, Cisco, and EMC. Outstanding directors and advisors from a variety of successful ventures together with strategic solutions partners are helping us stay focused as we not sonly pioneer a new solution category, but build a purpose-filled company that lives by a set of core values. If you'd like to learn more about Cohesity, please contact us.